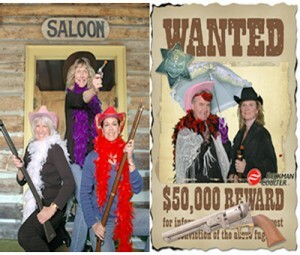 Western Photos with Costumes and Props Just like the wild west! We bring all the props and create a photo that puts your guests right in the middle of a shoot out, Wanted Photo or any other western scene you desire. We have the largest selection and quality costumes.